Have you ever wanted to create a video tutorial to share with your friends or to share with a wider community such as Youtube? This guide will show you how to create screencast videos of your Linux desktop using Vokoscreen. 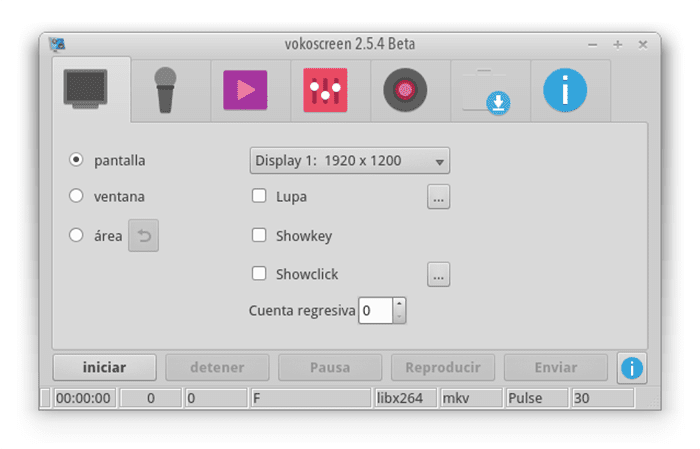 Vokoscreen will probably be available within the GUI package manager provided by your chosen Linux distribution whether that is the Software Centre within Ubuntu, Software Manager in Linux Mint, the GNOME Package Manager, Synaptic, Yum Extender or Yast. The screen settings tab controls the actual recording of videos. The first thing you need to decide is if you are going to record the entire screen, a single application window or an area on the screen which you can select with the mouse. We found that windowed recording had the nasty habit of cutting into the chosen window. If you are recording terminal commands you would lose the first letter of each word. If you want to really focus in on an area of the screen and make it bigger you can turn on magnification. You can choose how large the magnification window is from 200x200, 400x200 and 600x200. If you have ever seen the Linux Action Show or the Linux Help Guy videos you will notice that they have their webcam images displayed on the screen. You can do this using Vokoscreen by clicking the webcam option. Finally, there is the option to have a countdown timer which counts down to the start of the recording so that you can set yourself first. The start button starts the recording process and the stop button stops the recording. The pause button pauses the video which can be resumed using the start button. It is a good button to use if you lose your train of thought or if you are recording a long process that you wish to skip such as a download. The play button lets you play your recording back and the send button lets you mail the video. The second tab on the screen (denoted by the microphone symbol) allows you to amend audio settings. You can choose whether to record audio or not and whether to use pulseaudio or alsa. If you choose pulseaudio you can choose the input device to record from using the checkboxes provided. The alsa setting lets you choose input devices from a dropdown list. The third tab (denoted by the film reel symbol) lets you amend the video settings. You can choose the number of frames per second by adjusting the number up and down. You can also decide which codec to use and which video format to record in. The default codecs are mpeg4 and libx264. The default formats are mkv and avi. Finally, there is a checkbox which lets you turn off the recording of the mouse cursor. The fourth tab (denoted by the tools symbol) lets you adjust some miscellaneous settings. On this tab, you can choose the default location for storing videos. You can also choose the default video player which is used when you press the play button. The defaults on our computer were avplay banshee, totem, and ​vlc. One setting that you will probably want to choose is the option to minimize Vokoscreen when recording starts. If you don't then the Vokoscreen GUI will remain active throughout. Finally, you can choose whether to minimize Vokoscreen to the system tray. The final tab (denoted by the triangle symbol) has a list of links about Vokoscreen such as the homepage for the website, the mailing list, support links, developer links and a donation link. When you have finished creating videos you can use a video editing tool to format them for the web or other purposes. Then you can upload them to your Youtube channel and get something like this. After recording your videos using Vokoscreen it is a good idea to edit them using a tool such as Openshot which will be covered in a future video guide.